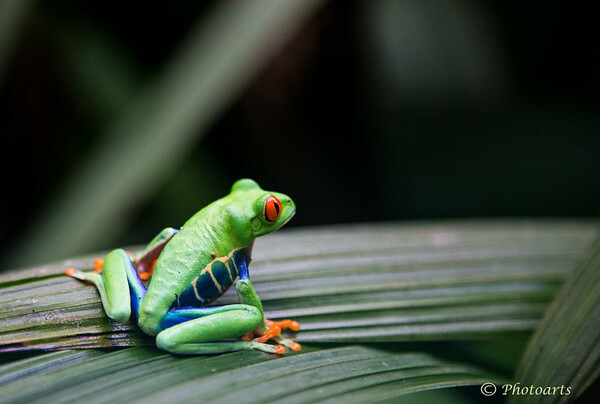 This Red-eyed leaf frog (Agalychnis callidryas) was captured in Costa Rica's beautiful Tortuguero National Park. Superb shot and I love the colors and details! Thank you for the comment on my "Heron with a snake" shot. You are correct that it was taken at NWR. I go there a lot since it's such a great spot and also nearby. Great capture of this red-eyed Leaf Frog. Great shot! Love the eyes! That frog has it going on! Terrific capture of this beautiful little frog! Grand shot. Frogs are amazing. Awesome. People don't realize how hard it is to capture something like this in nature. I do! Great photo. Great POV and nice DOF.